The DMM Rhino Screwgate carabiner draws its name from its distinctive 'horn'; not merely for show, this innovative feature has been designed to prevent assisted locking belay devices slipping onto the spine and creating dangerous cross loading. Not only this, the DMM Rhino Screwgate works brilliantly with standard devices: the full cross section of the top bar means greater wear resistance, and smooth operation in guide mode usage. The horn makes identification by feel on the rear gear loop easier, and the clean nose design provides snag-free loading and unloading of ropes. The big burly top bar is contrasted by our signature I-Beam construction on the non-rope bearing surfaces resulting in a total weight of 72g. The horn prevents assisted locking belay devices rotating off the top bar and on to the spine reducing the risk of cross loading. 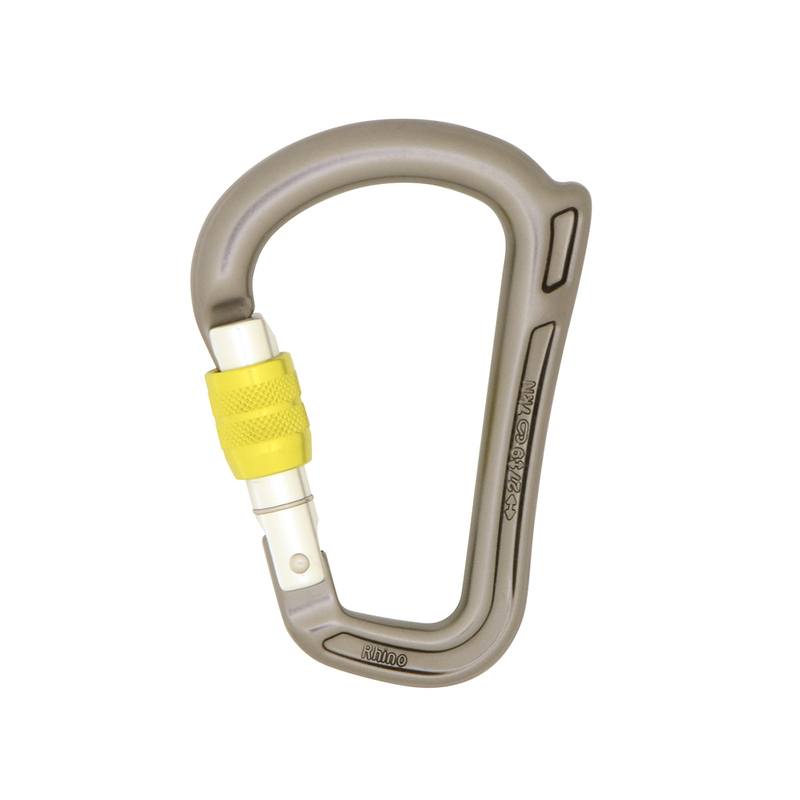 Also works with standard belay devices: the full cross section of the top bar means greater wear resistance, and smooth operation in guide mode usage. The horn makes identification by feel on the rear gear loop easier, and the clean nose design provides snag-free loading and unloading of ropes. The quality of the carabiner is super smooth and feel strong, DMM style, but the reason why I bought it was for the ''Rhino'' and my grigri can still cross loading ... so my advise will be to buy a other carabiner from DMM.